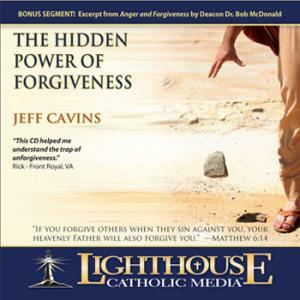 Talks from Jeff Cavins can be found in the Lighthouse Catholic Media CD kiosks in the entrance of each church. 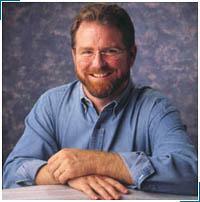 Jeff is the editor and writer of "Catholic Scripture Study", along with Dr. Scott Hahn, Mark Shea and others. 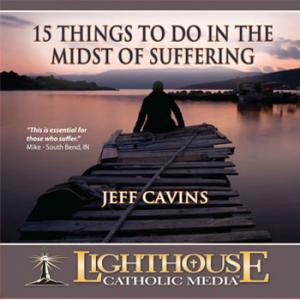 It is available weekly online through CatholicExchange.com, a non-profit website for Catholics, and also in workbook form. Dr. Scott Hahn and Jeff Cavins also taped a thirteen-week one-hour series entitled "Our Father's Plan." The format of the show is a journey through the historical periods of the Bible and is currently shown on Eternal Word Television Network (EWTN). 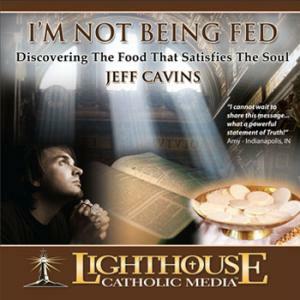 For six years, Jeff produced and hosted "Life on the Rock," a live talk show for young adults on EWTN. He also substuted for Mother Angelica on her live shows when she was ill or traveling, and he continues to appear from time to time on EWTN. Jeff was more recently employed by Relevant Radio to host a nationally broadcast, live, drive-time show called "Morning Air". He is currently the Adult Faith Formation Minister at the Church of Saint Paul in Ham Lake, Minnesota. The story of Jeff's return to the Catholic Church is now available in his autobiography, My Life on the Rock. Jeff is also co-editor of Ascension Press' Amazing Grace book series (Amazing Grace for the Catholic Heart, Amazing Grace for the Mother, Amazing Grace for those Who Suffer), as well as a contributing author for the new books Catholic for a Reason: Scripture and the Mystery of the Family of God and Catholic for a Reason II published by Emmaus in 1997, Jeff Cavins was presented the Envoy of the Year award for his work in evangelization. Over the past several years, Jeff developed a practical and extremely useful interactive bible timeline system - The Great Adventure: A Journey through the Bible. The Great Adventure enables students to understand the chronological flow of the Scriptures in a way that helps each book of the Bible have more meaning for the reader. Jeff used this approach at Franciscan University, Steubenvile, Ohio, where he taught "Introduction to Scripture" and also presents it in seminar form across the country. In its video and audio formats, The Great Adventure is being used currently in parishes all across North America. Jeff Cavins and his wife Emily reside in Minnesota with their three daughters, Carly, Jacqueline, and Antonia. 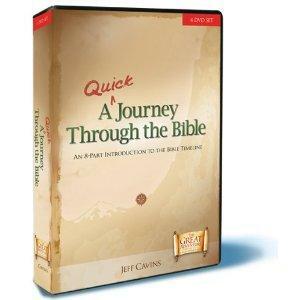 To order Jeff Cavins series titled A Quick Journey Through the Bible on DVD click here.